Are you searching for a reliable and trustworthy means of providing your workers with a safe working environment on the roof of your property? Height safety legislation can be intimidating. The risks of one simple error can be devastating and long reaching. Engaging the services of an experienced and qualified is the easiest and most reliable means of creating a safe working environment on the roof of your property. By minimising risk and keeping your height safety systems compliant you can rest assured knowing that you are providing your staff and visitors to your property with safe working conditions. tredRITE is a boutique height safety agency that has a reputation for design excellence and perfection in installations. From height safety audits, through to system installation, the multi-talented team at tredRITE offer simple solutions to complicated height safety problems. Offering a comprehensive range of height safety services in Sydney and Melbourne, tredRITE takes the stress, hassle and frustration out of workplace safety. The team comprises of height safety engineers, structural design engineers, systems designer, project manager and business manager to provide a streamlined service. No matter the size of the project, you will be provided with a cost-effective solution that offers the highest standard of safety and compliance. With extensive experience in the building and architectural fields, the team understands the intricacies of practical height safety and create easy to use systems. Using only the highest quality components and systems that are designed and tested to comply with AS/NZS 5532.2013, tredRITE offers the ultimate standard of safety without compromise. With a broad skill set, the tredRITE team can provide you with a custom-designed system that surpasses all regulatory and compliance requirements. Does your height safety system require maintenance? Are you searching for a convenient certification service? tredRITE can help ensure your systems meet Australian Standards and WorkCover requirements. Contact the team to request a quote. Operating throughout Sydney and Melbourne, tredRITE has close working relationships with the leading regulatory bodies and workplace safety organisations. Servicing commercial, strata and residential properties both in Melbourne and Sydney, tredRITE is raising the standard of height safety. With an exceptional reputation in the industry for their zero-incident safety record, tredRITE has a wide base of satisfied customers from various industries. To discuss your project with the experienced tredRITE team, visit the height safety Melbourne website or give them a call today. With a customer-first approach, the team will happily assist you to understand the best options available for creating a safe working environment at height for your property. Class-leading safety systems you can rely on – tredRITE. There is something really frustrating about a pesky spot being in the wrong place. Especially, if that obnoxious little spot is on your precious Oriental rug. While not every hand-woven rug is a pice of art worthy of wall space in the Louvre, they are a great expression of artistry. But it is amazing at how we treat these functional expressions of art. We trample and trudge over them. In some households, pet dig their claws deep into the bottom layers of the rug and tear and slice the delicate fabrics. Would we ever treat an oil painting with such disdain? But this is one of the reasons we love our Persian rugs. Not only are they are functional and durable piece of home furnishing, but they are a form of art that allows us to express our personality right in the heart of our living heart. Despite the fact that we treat our Persian rugs with the same amount of respect as we do our carpeted floors, they can hold and even increase in value if they are properly maintained. So with that in mind, what is the best specialist rug cleaning service in Sydney? Do a bit of digging around and the answer is strikingly obvious – Oriental Rug Care. Family owned and operated, Oriental Rug Care provides class-leading specialist rug cleaning services that are head and shoulders above all other companies in Sydney. Exceptional Results – When it comes to caring for your precious rug, affordable rates are great but nothing trumps exceptional results. When you get your rug back you want any stains to be removed. The colours should be brighter. The knots should feel softer underfoot. There should be no musty smells. When you use Oriental Rug Care to clean your rug, it will feel, look and even smell clean. Many rug owners are surprised at how big a difference a professional rug clean can make. You will be able to appreciate the artistry and patterns as the colours have greater contrast. Restore your rug and enjoy it for years to come. Competitive Rates – Even though the rug technicians use advanced cleaning techniques and never cut corners, they manage to keep rates competitive. 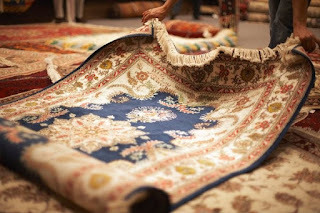 They still provide extensive care, time and attention to each and every rug. With streamlined processes and a team that understands the intricacies of stain removal, Oriental Rug Care is passionate about keeping their rates affordable so that every rug can receive proper care. Class-Leading Services – Oriental Rug Care is setting the standard in the industry. The technicians continue to undertake training so that they can keep their mantle with the industry's defining standard of excellence. Not only are their results impressive, but they treat each customer with genuine care and respect. They love their work and this is evident in everything they do. No matter the rug, Oriental Rug Care is the solution. The team at Oriental Rug Care have a wide back-catalogue of rug cleaning success stories including precious, valuable, rare and antique rugs. Whether you have an Oriental, Turkish, Indian, Chinese or modern rug, Oriental Rug Care offer custom rug cleaning solutions that will be sure to impress. What Is The Best Cleaning Technique For An Oriental Rug? Every rug is different. The colours, construction and condition of the rug needs to be assessed by an experienced professional before a cleaning technique could be recommended. But just for argument sake, if there is one rug cleaning technique that could take the title as the #1 rug cleaning technique, which would take the title? Ask an industry professional what is the best technique for cleaning a hand-woven rug and they will all reply with the same response, full submersion washing. For thousands of years, rug merchants in the Middle East have been using simple but effective submersion techniques for ensuring that even the deepest fibres are properly cleaned. Fast-forward to our time and modern rug cleaning technicians are using the same full submersion techniques with the added benefit of advanced cleaning solutions. If you want your rug to last, full submersion cleaning is the best option. All of those abrasive sand and dirt particles will be removed. Acids and harsh chemicals that buildup on the fibres will be removed, all without damaging the dyes and gentle fabrics in the padding of the rug. Vacuuming your rug is the easiest and most effective means of regular rug maintenance. But to actively extend the lifespan of your rug and prevent damage, a professional rug clean is what the doctor orders! If you would like to have a further read on the amazing construction techniques of hand-woven rugs, there is a spectacular article on the NY Times site entitled, "It's Hard To Kill A Good Oriental Carpet". Oriental Rug Care provides a unique 12 -step rug cleaning process that includes dye-setting, pre-spotting, full submersion cleaning, fringe cleaning, pH correction and deodorising. Following this comprehensive rug cleaning process, your rug will be restored back to its original glory. If you are ready to provide your rug with the maintenance it deserves, give the team at Oriental Rug Care a call today. They will happily provide you with a free rug cleaning appraisal. With free rug pick-up and drop-off services, there is no easier way of keeping your rug in tip-top condition. Give the team at Oriental Rug Care a call today. What Is The Best Power Tools Store In Sydney?